The biggest reason why we think you and your family or group should choose to celebrate the holidays in our large group cabin rentals in Pigeon Forge TN is it takes much of the stress of planning off you and your loved ones. Instead of spending your time scrambling to get your house ready for out of town guests, you can simply open the door to your cabin rental with ease knowing we have done all the prep work for you. We have already done all the cleaning and made up the beds, so all you have to do is unpack, kick your feet up, and enjoy a memorable vacation. We recommend doing so on your cabin’s private back deck as you enjoy the scenic mountain views surrounding you. Another way staying in Pigeon Forge for the holidays take away stress is it cuts down on the amount of travel some of your family members will have to do during this time of year. Thanks to the fact our area is within a day’s drive of two-thirds of the U.S. population, no one in your family will have to drive far to enjoy a relaxing stay here. Another reason you and your loved ones will love spending the holidays in our large group cabin rentals in Pigeon Forge TN is the collection of fun events planned around the area during this time of year. There are Christmas parades, holiday shows, dancing lights, and a variety of other festive ways you and your loved ones can experience the holiday spirit when you are in the area. All these amazing events take place between November and December every year, and there are some great coupons available for these Pigeon Forge Christmas shows. They are open to all ages and are the perfect way for you and your loved ones to spend time together as you celebrate the holidays together in the heart of Pigeon Forge. One of our favorite parts about spending the holidays with family and the ones we love are all the fond and long-lasting memories you create during this time of year. Whether it is the moments you spend sitting around the dinner table swapping stories or watching your children open their gifts on Christmas morning, there is no shortage of experiences you can enjoy. 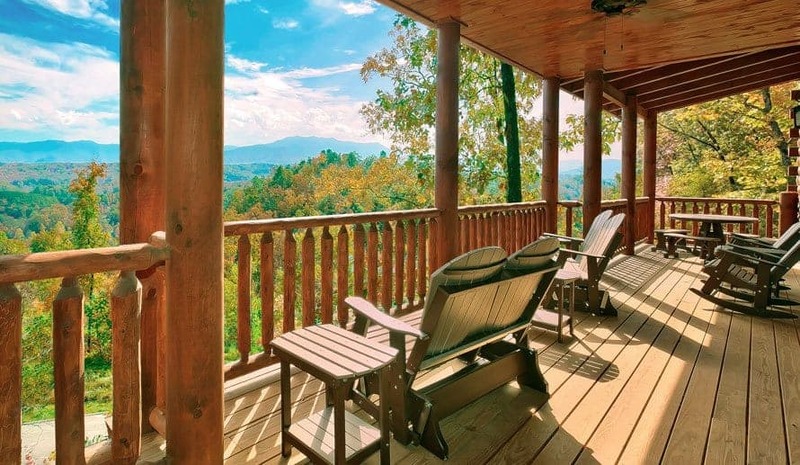 We cannot think of a better place for you and your loved ones to create these memories than inside one of our welcoming large group cabin rentals in Pigeon Forge TN. Not only do these rentals give you all a place where you can spend time together under one roof, they also come equipped with a variety of amenities and special touches that help make creating memories even easier. Not to mention, many of our rentals come already decorated for the holidays, so you are sure to feel right at home when you are here. The amount of ways you and your family can build holiday memories is truly infinite. All you have to do is allow yourself to experience this unbeatable vacation option. 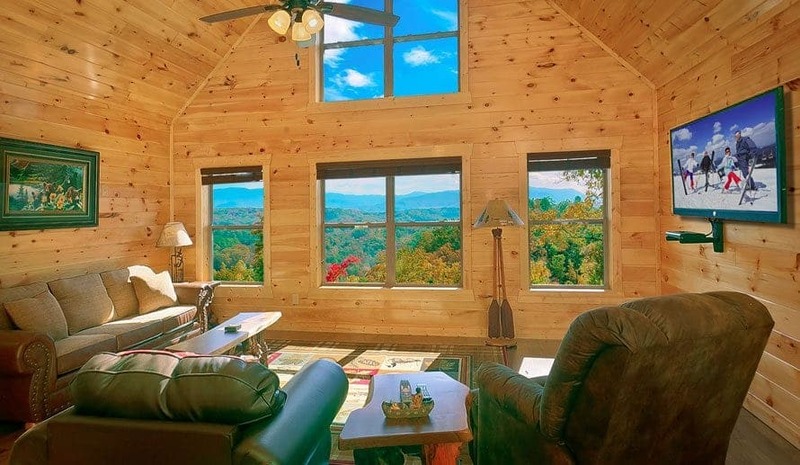 Last, but not least, we cannot talk about reasons why you should spend the holidays inside our large group cabin rentals in Pigeon Forge TN without talking about the breathtaking mountain views our vacation homes come with. Here, you will have both a panoramic view of the snow-capped mountains in the distance, you will also have a clear view of the valleys in the foothills as they shed their majestic fall foliage. Both of these views are simply breathtaking and make for the perfect backdrop of any family get together. The best part is you get to experience these incredible views nearly everywhere you stand inside our cabins. You can be sitting on the back porch, relaxing in the hot tub, lounging in the living room, or sleeping-in in your private bedroom suite. All the rooms offer a beautiful view of the incredible natural scenery surrounding you here. Now that you know all the benefits that come with spending the holidays in our cabins, it is time to start booking your winter getaway today! 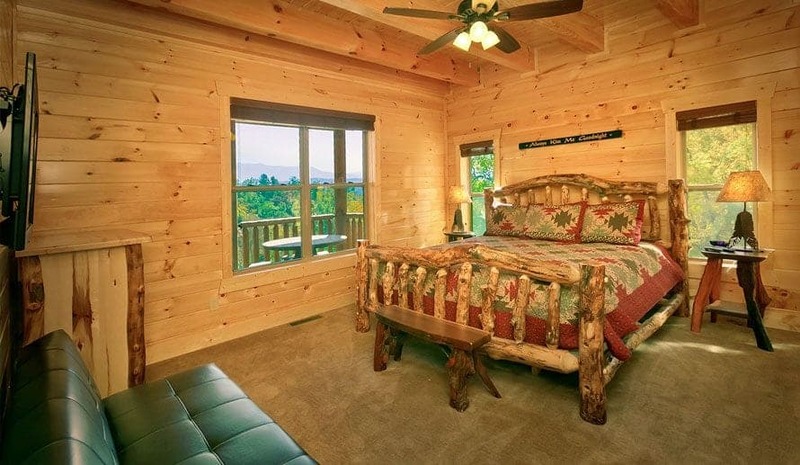 You can start by browsing all the incredible large group cabin rentals in Pigeon Forge TN found in our inventory.